While connecting with fellow healers in the deserts of Mitzpe Ramon, Israel, something profound come into my being as a message!! While lightly gazing at the turning sky, watching the decent of many stars and the rise of others, My eyes became fixed on an image that appeared in the night sky. 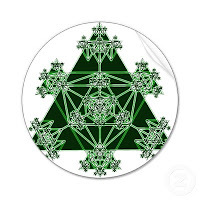 The image was familiar, being that I have spent lots of time engaged in sacred geometry and crop circle sightings. It was a Mandala, one in which I did not recognize, but for certain a sacred circle. While my eyes opened to the phenomenon, an energy burst into my heart unlike anything I have ever experienced in my life. The energy busted open my heart, echoed throughout my body and shook the whole entire earth with a power and strength that was so massive, I could not help but loose a breath and follow it up with a deep massive breath of empowerment. This energy, was an energy I have never felt in my life. Strong, pure, unwavering waves of Strength, beyond anything that can be manifested in the material world. At that point, it was clear and will be clear for me for the rest of this lifetime, Humanity is waking up and that awakening is bringing such strength and empowerment, that the fears and doubts about our existence are all following away into a subtle "I don't know, but I will live Holistically!!!" It was a power In which I can imagine human beings from all walks of life standing on the top of their roofs, open hearted with a huge smile on the face shouting brave, "I CAN DO ANYTHING I WANT IN THIS LIFE, LIVE ANY WAY THAT I WANT, ACHIEVE ANYTHING THAT I WANT, CREATE ANYTHING THAT I WANT, AND I WILL DO IT FEARLESSLY WITH MY HEART OPEN AND FULL OF LOVE!!! WE ARE THE ONES WE HAVE BEEN WAITING FOR and THE TIME IS NOW!!!!! We are much more powerful then we are taught to believe.....in this message I received I am clear that each and every one of us can live to our highest potential! !